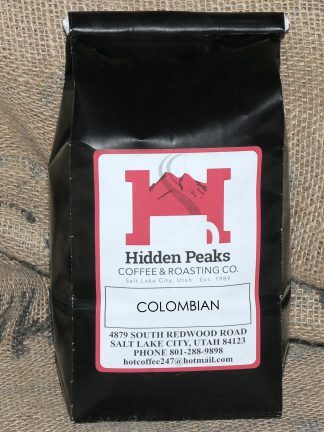 Colombian, Supremo – HIDDEN PEAKS COFFEE & ROASTING CO. This coffee has large beans, ripe, mellow taste, heavy body, full aroma, and low acidity. A good daily coffee that harmonizes the classic traits of an excellent coffee bean. 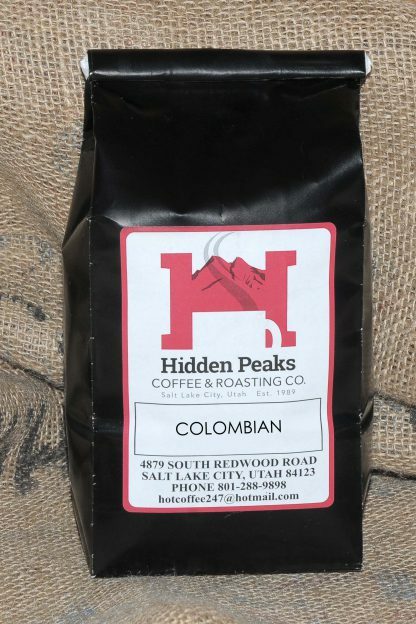 This is the blend many consumers became hooked on after abandoning stale, mass-produced, store-bought coffee.